Despite missing out on the MPSF title for the fourth year running, UC Davis had a memorable performance in Seattle on Saturday. 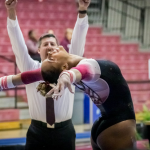 The Aggies’ team total of 49.200 on bars was the second highest in program history and the best they’ve ever registered on the road. The season high mark was due in part to an individual season high on the event from sophomore Kelley Hebert, who was recognized for her second consecutive MPSF Gymnast of the Year award on Saturday. 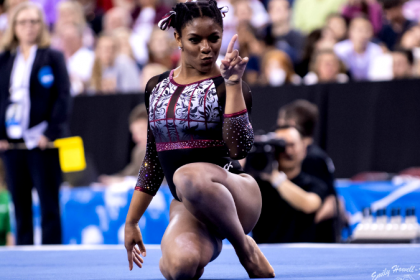 Hebert’s 9.825 meant even more to her because of her journey on bars in 2019. Hebert is one of numerous Aggies who have added events in 2019, due in part to season ending injuries to two critical contributors. “Those were like seven 9.8s out of our lineups,” head coach John Lavallee said wryly. The gaps have opened up opportunities for underclassmen. Sophomore Gabby Landess earned first team all-conference honors in the all around, which she wasn’t originally expected to compete this year. 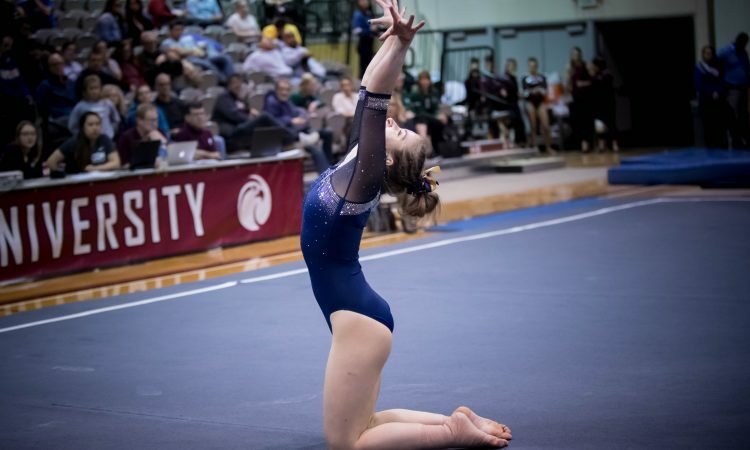 Freshman Shannon Sklow made her lineup debut on floor in the last week of regular season—she broke her wrist in a bicycle accident in January but wasn’t willing to write off her season. That resilience is built into the culture of the team. “Our motto is, ‘Never give up, never give in, work as hard as you can until you get what you want,’” Lavallee said. The Aggies have now ended the regular season ranked No. 1 in the MPSF for four years running, and this year they picked up the inaugural MPSF regular season team title. Lavallee credited part of the program’s development to his talented assistant coaches, including Jessa Hansen who received the MPSF Assistant Coach of the Year award. But he also felt it had to do with the individual characteristics of the 2019 roster. While UC Davis did not qualify to regionals as a team, its 2019 season is not quite over. Alyssa Ito and Yasmine Yektaparast have qualified to regionals as beam specialists while Hebert will compete in the all around. 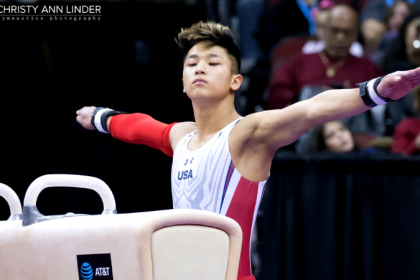 All three will compete in Corvallis on Friday, April 5.